You won't find a better idea for your corporate event than this boot camp program. Genuine "Boot Camp" derives from ancient training techniques that have evolved and become adopted by military programs, but there is nothing inherently military about the training itself. 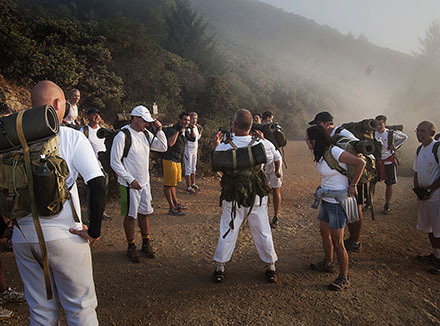 The two principle components of boot camp training are team structure and varied activities performed outdoors. Your group will bond over the unique and varied, challenging activities in a beautiful, outdoor setting.